We would like to thank the attendees of the half-day course at the CHI 2012 conference, “Agile UX Method Adaptation,” for their energy, attention, and thoughtful questions. Slides from "Agile UX Method Adaptation"
Desirée Sy and John Schrag, UPA 2011. Mike Cohn's site, http://www.mountaingoatsoftware.com/, has a lot of helpful information if you want to learn more about the Scrum flavour of Agile Development. Michael C. Medlock, Dennis Wixon, Mark Terrano, Ramon L. Romero, Bill Fulton. "Taking Aim: The Power of User Experience Goals"
We would like to thank the attendees of our one-day tutorial at the Usability Professionals’ Association 2011 conference, “Agile UX Toolkit,” for their energy, participation, and terrific questions. Slides from "Agile UX Toolkit"
Dong-Seok Lee, David Woods, Daniel Kidwell, UPA 2006. Slides from "Big Picture Design without Big Design Up Front"
Desirée Sy. Agile Roots 2010. John Schrag wrote earlier about Design Values, and others have expanded on some of these ideas. This follow-up post looks at why we designers value Achieving Results over Writing Reports. This isn’t so much a duality as it is two points on the continuum of design doneness. Writing reports is a part of what we do as designers, but it’s not an end to itself—just as an architect’s job isn’t complete when the blueprints are finalized. 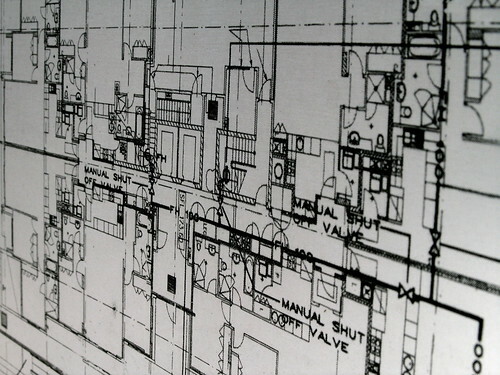 The exciting part is realizing that just as an architect’s job doesn’t start when the blueprints are being drafted, there is far more to an interaction designer’s job than writing specifications. What can we do as designers to achieve results that are better—faster, more vivid, more malleable, more effective—than pounding out a 279-page specification? Let’s conduct some thought experiments with a few typical design activities and their deliverables. You’re conducting a usability test on a low-fidelity prototype, and the design idea fails to solve the primary design criteria set for it. What do you do to get this problem fixed? During a design review session, you present the problem as part of the data in a PowerPoint scatter plot. Pull some ideas out of an email thread with the whole team, after sending a link to your report of the whole test series. Make changes to the paper prototype, in consultation with the developer who observed the session, and see if the next user can complete the task. Answer (c) allows the team to move through design iterations more rapidly than writing comprehensive usability test reports and then reacting to those results allows. This also illustrates one of the concepts underlying the rapid iterative testing and evaluation (RITE) usability test methodology. Through personal experience, I can say that developers are more engaged and have a more complete understanding of underlying problems (rather than your proposed solution) when they participate in rapid design iterations. You're at a customer site, watching users pushing real data through the latest release of the software. You identify a critical issue that has an impact on the version currently in development. How do you convey this problem back to the team? Three weeks later, as part of the “Problems” section of a field visit report that also incorporates data from the next two weeks of visits. A month later, as part of a PowerPoint presentation to the team about all the field visits. The next day, as an upload via FTP of a recording of a re-creation of the workflow with the current build version on your laptop with a voice-over describing the issue, supplemented by an example of the customer data. The pros of producing a stream of “re-created highlights” for your team as the site visits progress are that you are highlighting the most important issues for the team (and therefore, for yourself) in a timely way, and you are keeping everyone engaged in the narrative of data collection for the full 2 weeks. Also, adding customer data provides context and data-driven requirements, helping the whole team to frame the problem more accurately. The cons of such informal reporting are that you are paraphrasing the problem, and there is some loss in translation when you are using (for example) a different version of the software to demonstrate the problem. Also, there are going to be some issues that are only revealed as part of a pattern of observations over time. And yet…haven’t we all been at a site where we saw one instance of a critical problem that doesn’t require another example for us to know that it needs addressing? Shouldn’t we try to find more timely (and less boring) ways to engage team members to fix these than by writing a report and insisting everyone read it and then do the right thing? You’ve finished part of a larger design and the low-fidelity prototype met all the design criteria in usability testing. The next step is to explain the design and the user experience acceptance criteria so that development can build it, and QA can test it. Which of these actions will most effectively help the team build the product? Get a head start on section XXVI.34.ii (b) of the specification, which won’t be distributed until the whole design is complete. Conduct a detailed design walkthrough of the entire UI design for developers, QA, and technical writers. Answer questions about the design solution, and capture the minutes of the meeting. Write a short design brief for the part of the design that’s done, and link a series of these together later in a higher-level document. Demo the smaller design piece using the final version of the low-fidelity prototype to complete a few common and critical tasks for developers, QA, and technical writers. Answer questions about the design problem. Capture the meeting, including the questions and answers, in brief design history notes. Keep a running series of these notes for all the design pieces. It breaks the implementation down into more manageable, understandable pieces of work. It emphasizes the desired workflow as the outcome, rather than the minutia of the design, except where the visual or interaction design details have an important effect on the workflow. Therefore, it puts the UI elements in the context of the user’s work and tasks for the whole team. It helps you understand where you failed to communicate design details to other team members, so that you can fix the design brief. Inevitably, when the team has a better understanding of the problem that you’re solving, someone improves your design. Most importantly, you’ve distributed the responsibility for achieving results to the entire team. Designers are often frustrated because even after doing all the “right” design activities, and then distributing research reports, usability test reports, wireframes, and specifications, somehow the “right” solutions don’t end up in the product. We’ve sometimes reacted by trying to fix the reports or enforce their authority — by forcing sign-offs; by presenting reports instead of getting team members to read them; by holding up coding until documents are complete; and in the case of specifications, by pushing more and more detail into more and more pages. These fixes are symptoms of mistrust. Forcing compliance to read or act on reports is a breakdown of trust that the findings aren’t being taken seriously. Adding more content to reports is a breakdown of trust in the validity or completeness of the findings. I think most of us can think of times when doing either of these things hasn’t resulted in the “right” result, even though collectively, the team knew better. Both approaches are based on the myth that a designer uncovers the user’s problems and creates the One True Solution, and then developers implement that vision (either successfully, or incompletely). I think that this is the wrong way to infuse design thinking into products. Instead of forcing “their” solution on a team, designers should get as many team members as possible to understand users’ problems, and then get everyone engaged in solving those issues. Ultimately, the likelihood of getting results into a product increases exponentially for each team member who is committed to solving problems and owning the solution. Sometimes, writing reports isn’t the best way to do this. Usability Testing with User Proxies: When is "Close" Close Enough? How can we designers get valid feedback from more design iterations in less time? One bottleneck in the design flow is finding a steady stream of usability testers. Between the extremes of the perfect (an actual user, on site) and the unacceptable (the developer who's coding the feature), lies the grey zone of user proxies. Can you use internal employees with relevant domain knowledge to usability test your products, and still get valid data? The answer, as with all design questions: It depends. We have successfully used internal employees as usability test participants on products where we have an agile user-centered design methodology (see “Adapting Usability Investigations for Agile User-Centered Design” in the Journal of Usability Studies for a lot more detail on our agile methods). Since in agile design the prototypes are incrementally and progressively getting closer to the end product, we took the approach of using tasks and testers that also incrementally and progressively got closer to real work done by actual users. With agile, our designs are being iterated in an incremental series of “mini designs,” or design chunks, so the earliest prototypes do not allow people to complete full workflows, but only separate operation-level functionality. It is extremely hard to usability test these early “mini prototypes” externally because they do too little, have very little task-level context, and require extensive intervention from a facilitator to operate. An example of one such early prototype might test the dragging algorithm for a zoom operation (where users zoom towards the click-point as opposed to the centre of the screen). While this interaction requires a high-fidelity prototype to test it, it's also possible to create low-fidelity prototypes to test granular interactions. We usability test these types of “mini prototypes” internally, with extremely artificial forced tasks. For example, to test a brush resizing algorithm for a 2D paint application, I asked internal testers to match the brush size of different brushstrokes I'd prepared on a canvas using different prototypes. I switched between different prototypes for the testers since I was not testing discoverability of the function, but instead the smoothness and efficacy of the different algorithms. Recruiting internal testers requires just as much thought as recruiting externally. You need to understand what you are testing and select testers accordingly. We recruit internal testers from Quality Assurance, the Help Desk (Support), and our pool of subject matter experts. We do not use developers or other UX designers. All internal testers must work on a different product than the one being tested to minimize bias. Also, all internal testers must have particular qualities in common with our target users: in the brush resizing example, they needed to be people who sketched (so, for example, a QA person who was an expert in video rotoscoping but did not sketch was not recruited – just as an external person would not be recruited without hand sketching experience). Our sessions with internal users are very fast, not conducted in a lab, and not recorded. Internal staff don’t want videos of them failing a task to be seen by people who might mistakenly see this as a sign of domain incompetence instead of a design failure. Once the foundational interactions are locked down, we combine prototypes to enable more complete interactions that relate to a user activity. These more complete “workflow prototypes” are tested with external users. Initially, these users may be other user proxies (for example, students studying animation, industrial design, or other sketch-intensive fields who may not necessarily be users of the product). Eventually, we'll test refined workflow prototypes with actual users. how relevant particular characteristics or contexts are to using a given prototype. Of course, if what you are testing is heavily dependent on a particular characteristic or context, then you need to usability test with real folks doing actual work—sometimes in the field. But more often than not, there are design decisions that don't depend on all user characteristics. By using internal employees and other user proxies to usability test interactions in early design work, you can increase your design velocity without sacrificing the validity of the feedback. Sometimes you meet someone new, and you have a great conversation. But no matter how strong your connection, and how much you learn from this first meeting, you'll only get a glimpse of that life. It doesn't compare with what you'll learn about that person in months and weeks to come. User experience practitioners who neglect longitudinal research are missing the wealth of information that comes only after time. User research focused on single experiences with a feature or workflow uncovers different problems and issues than longitudinal research. In short, what longitudinal research captures that research of a single experience cannot is the change over time—whether this change is in usage behaviour, comfort, perceptions, engagement, or productivity. I participated in the "Best Practices in Longitudinal Research" workshop at CHI 2009 with a small group of academics and practitioners from five countries. We presented brief case studies, gathered over 30 issues to consider, and then shared our experiences to begin to examine about half a dozen questions. Here's a brief sampling of a few topics from the day's discussions. The inevitable artifact of a gathering of UX researchers: flip charts with sticky notes. To measure change meaningfully, at least one research attribute must be constant over the period of study. The fixed attributes most commonly used by workshop participants were the design of the product and a defined set of user characteristics (such as product knowledge, domain expertise, geography, age, and so on). User characteristics remained unchanged either by using exactly the same users for the whole study, or by rotating a panel of users with the same characteristics through the course of the investigation. For example, one study investigated how a group of users navigated Microsoft Word and Adobe Acrobat documents over a period of several months, while another determined the rate of learning of some users over several sessions for pointing device tasks. I was in a smaller group of people who had studied the effect of design modifications on users' interaction with a product over time in their real world environment. I explained that the fixed attributes for our studies are the user characteristics and the design goals for the product, since the designs are changing over the course of the study. No one method was best suited to longitudinal studies. In fact, it was clear from some of the stories shared that for a given study, it's important to triangulate data collection from several methods. For example, in one study usage logs showed that users had not actually used the product as they described in their journals. Other case studies confirmed that usage logs alone cannot supply the context of use needed to understand workflow patterns. I was interested in hearing from other participants of their success in observing longitudinal sessions remotely. Seeing participants' faces, not just their monitors, improves these studies by connecting participants to researchers. One company sent webcams to study participants as both a research tool and an incentive. (including what type of research each is suited for). The day of discussions reminded me not to neglect the long-term relationships we have with our users, and to continue to plan user research over time. What lessons have you learned in your longitudinal studies?